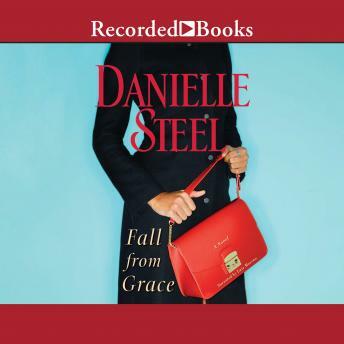 From #1 New York Times bestselling author Danielle Steel comes the gripping story of a woman who loses everything-her husband, her home, her sense of self and safety, and her freedom. Sydney Wells's perfect life with her wealthy, devoted husband vanishes when he dies suddenly in an accident. Widowed at forty-nine, she discovers he has failed to include her in his will. With Andrew's vicious daughters in control of his estate, and no home or money, Sydney finds a job in fashion, despite her own designer daughters' warnings. Naive, out of her element, and alone in a world of shady international deals and dishonest people, she is set up by her boss and finds herself faced with criminal prosecution. What happens when you lose everything? Husband, safety, protection, money, and reputation gone, faced with prison, she must rebuild her own life from the bottom to the top again, with honor, resourcefulness, and dignity. Sydney finds herself, as well as courage and resilience. Taking life by the horns, she revives her own career as a talented designer, from New York to Hong Kong, risking all in an exotic, unfamiliar world. She is determined to forge a new life she can be proud of. Love the story line! Definitely keep my attention. I loved the story! I couldn't put it down... recommending this book to anyone loving a mystery.